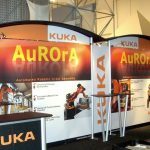 Attending a trade show, convention, conference, or expo? 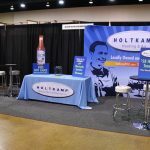 Salient Sign Studio has the experience, tools, and resources to create the attention-getting, durable tradeshow booths, displays, and exhibits you need to make your showing a success! 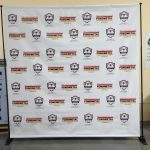 Call Salient Sign Studio at (313) 314-3677 for your free consultation with a Trade Show Display Specialist! 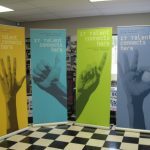 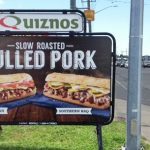 Salient Sign Studio is a reliable, local partner you can count on to provide all of the graphic elements you need to impress your attendees, create an easily navigated space, and support them with the resources they need to have a successful showing at your event. 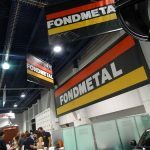 Salient Sign Studio creates attractive, eye-catching, and durable trade show displays, booths, and exhibits to gets your brand noticed! 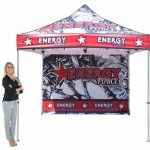 We are dedicated to making your next trade show a roaring success, and look forward to creating the perfect display for your business, brand, and event. 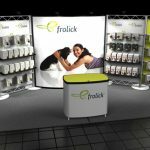 Call Salient Sign Studio at (313) 314-3677 for your Free Consultation with a Trade Show Design Specialist!